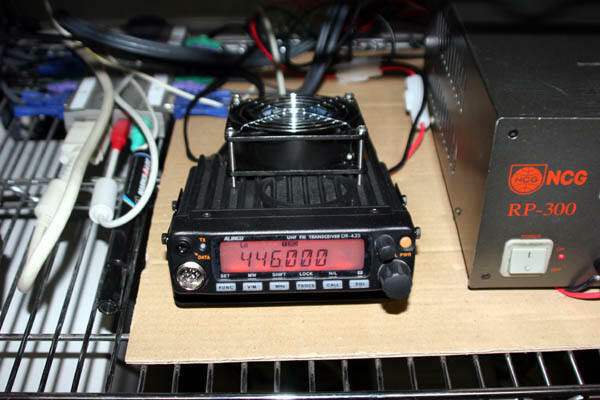 The Alinco DR-XX5T series mobiles make great IRLP node radios. market price of $169.95. You can purchase these radios at HRO or AES. The Alinco DR-235T and DR-435T are 220 and 440 versions. The current price on these radios is a little higher than the VHF radios. Usually between $250.00 and $260.00 dollars. I know of at least 10 people that are using these Alinco mobiles for there IRLP node radios. No one has had any problems with these radios and they have been on the air for a few years now. No they are not commercial grade radios, but if you buy the radio new it comes with a warrantee. You can buy them new, plug them in and they WORK! The IRLP audio sounds great through these radios. duty like a commercial radio would be. I have a simple solution to their argument. Please see below. 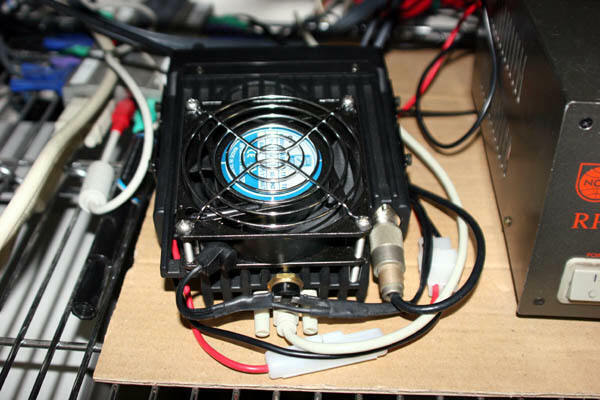 small fan mounted to the top of the radio. degrees the thermal switch opens and the fan shuts off! warm to the touch when the fan is running. I currently have a limited stock of these thermal switches. 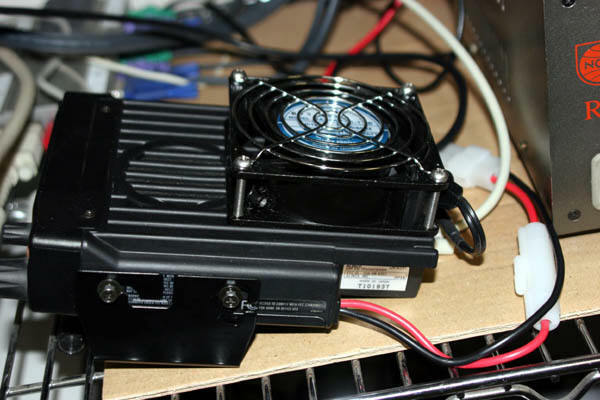 "Order Thermal fan Switch" link for ording information. Or email me at ke6pcv@cal-net.org if you have any questions about payment or shipping details. www.secloproducts.com for $30.00 each plus shipping with a minimum order of $50.00. and you will see the part number CA-120 at the bottom of the page under pricing. than what is currently on the back of the stock Alinco radio.